Being honest with ourselves, when the Solid Surface of the PORCELANOSA Group, KRION® was created, it was done in the awareness that there are sectors where our material is suitable and recommendable, but we never came to think of the various applications in which it is now used: ranging from a ballpoint pen to a sculpture, glasses, speakers, strips, heaters, DJ tables... countless creations that have exceeded all our expectations, thanks to the imagination of our customers. One of these applications that has surprised us most has been the creation of kitchenware, and we are proud that a Chef with a Michelin Star, Manuel Alonso, "Casa Manolo" Restaurant, thought of our material so that the culinary creations flow in parallel with the design of the plates. This fusion becomes a sublime work within everyone’s reach, and achievable by very few. 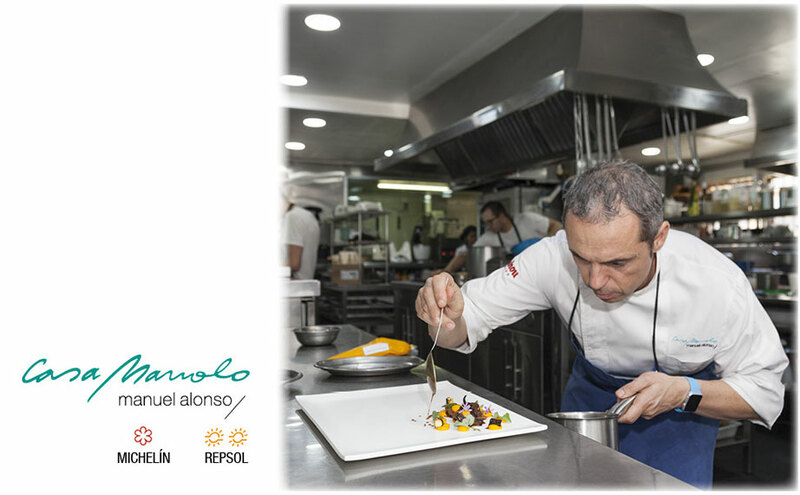 Nobody better than Manuel Alonso himself, Michelin Star and 2 Repsol Suns, to tell us about his experience with KRION®.